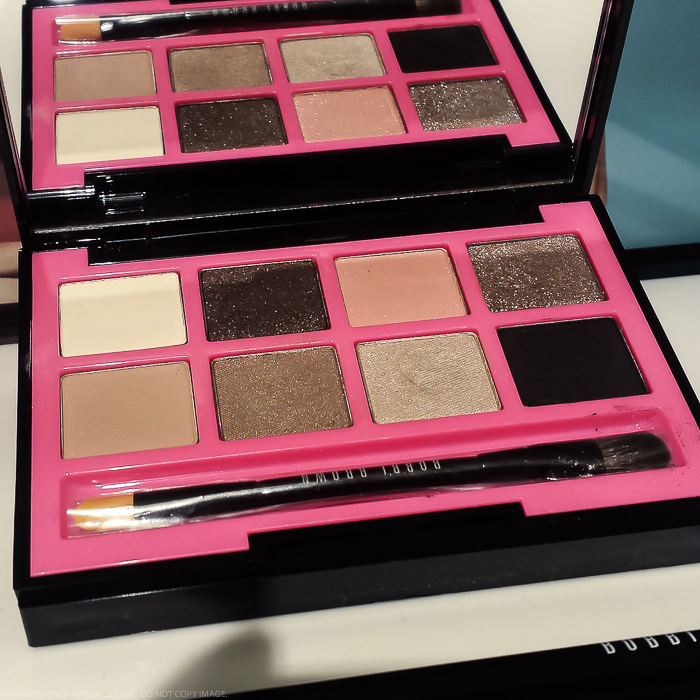 The Hot Nudes eyeshadow palette is the classic Bobbi Brown palette. 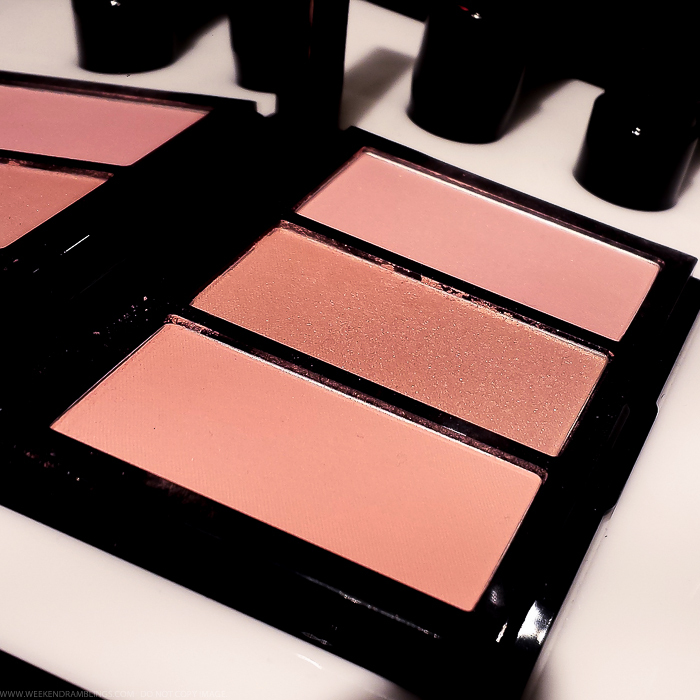 It has all the essentials needed to do a classic neutral eye and can just as easily be used to do an awesome smokey eye. 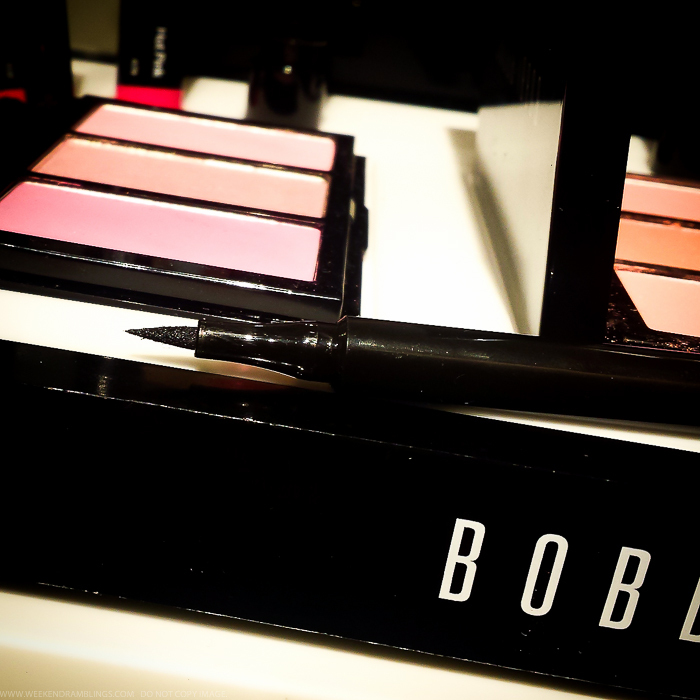 The Blackest Black Ink Eyeliner is a really black eyeliner pen with a felt tip that could be useful for adding definition to the lashes with a barely there line as well as for drawing on a winged liner. 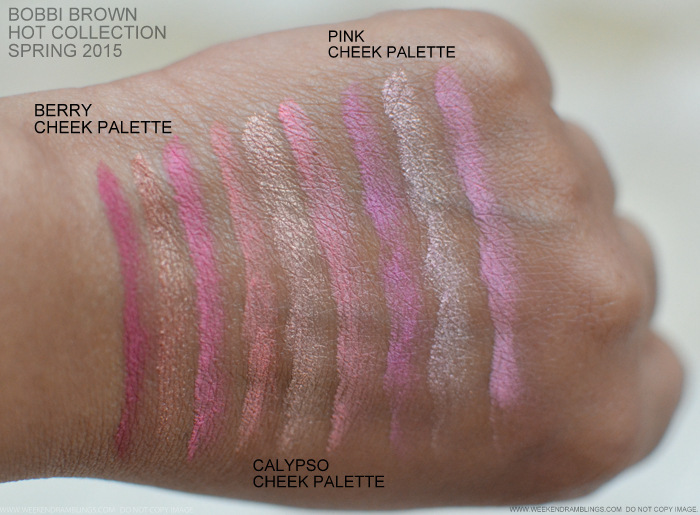 The colors are looking a bit browner due to the in-store lighting. 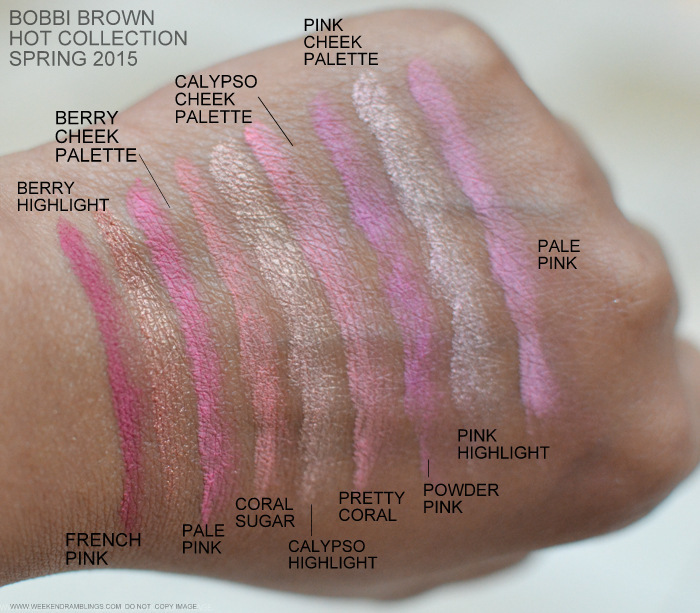 There's a blush for every skin tone in the Bobbi Brown Cheek Palettes with the more vibrant Berry Cheek palette, softer Pink Cheek Palette, and the pretty Coral Cheek Palette. 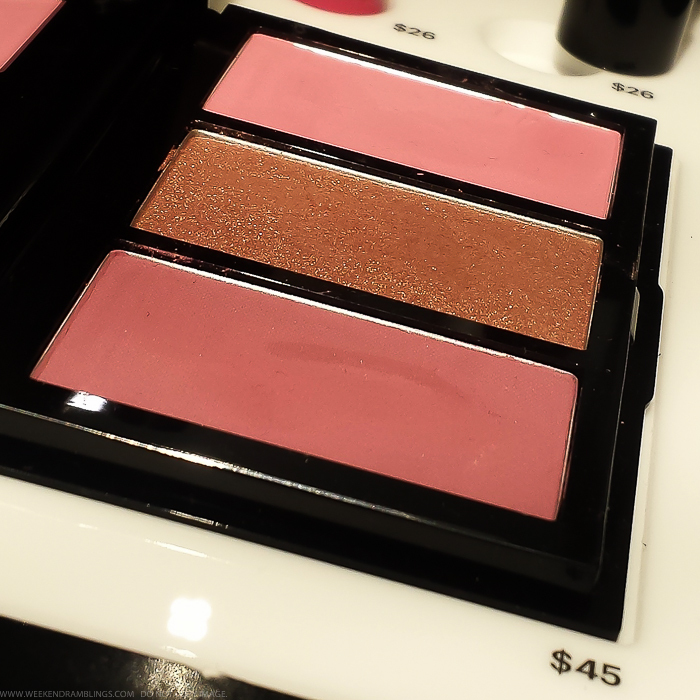 The cheek palettes are the perfect size for travel (or in the bag for everyday use), and the individual blush colors seem like they can be picked up with a regular-sized blush brush without too much trouble. 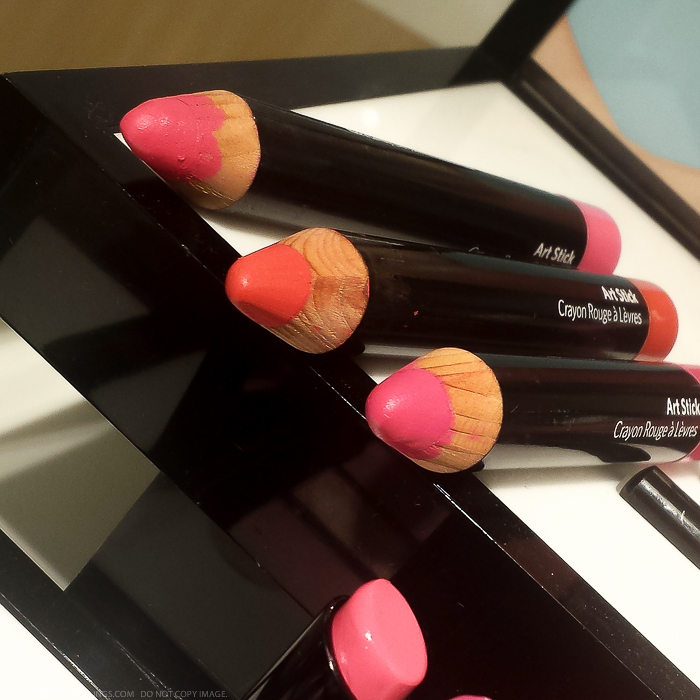 These have to be my favorite products in the entire collection just because they are such cheerful colors. 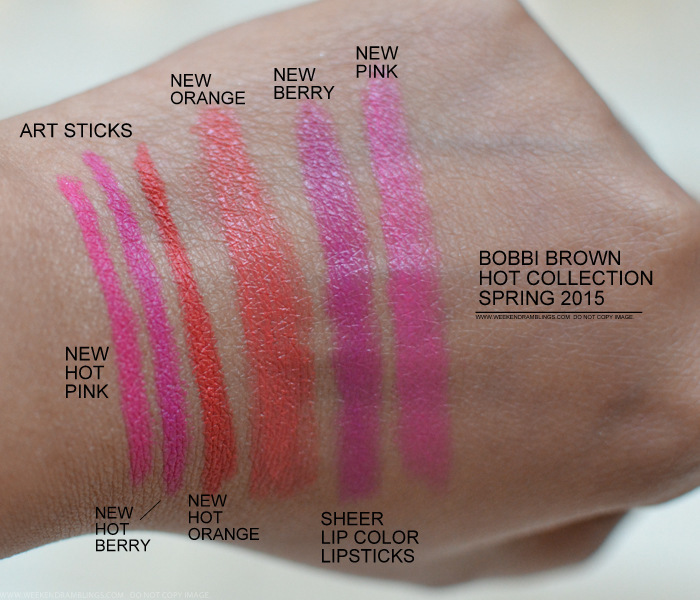 Bobbi Brown Art Sticks are chubby pencils that come with their own sharpeners and give bright pops of matte color. 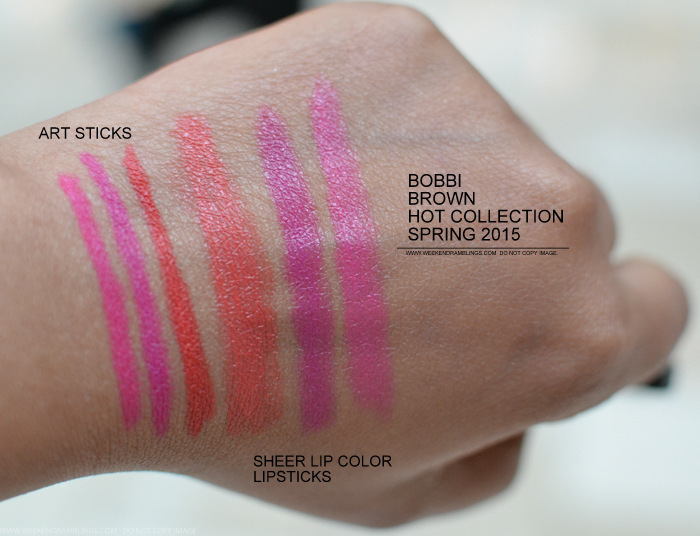 The Sheer Lip Colors are vibrant and pigmented while still remaining light in consistency. 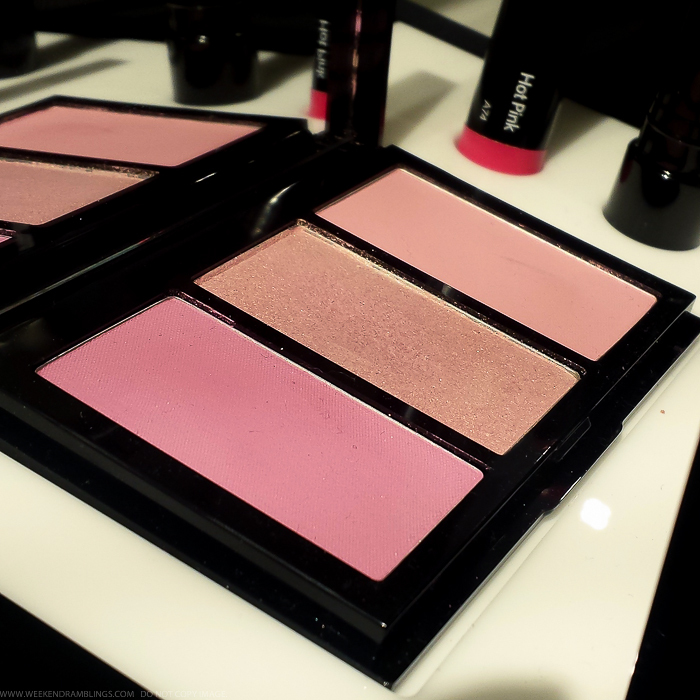 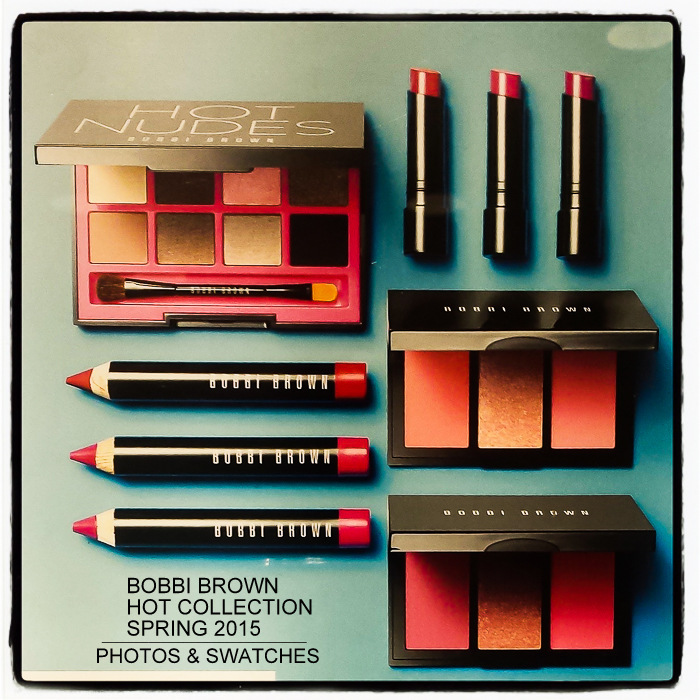 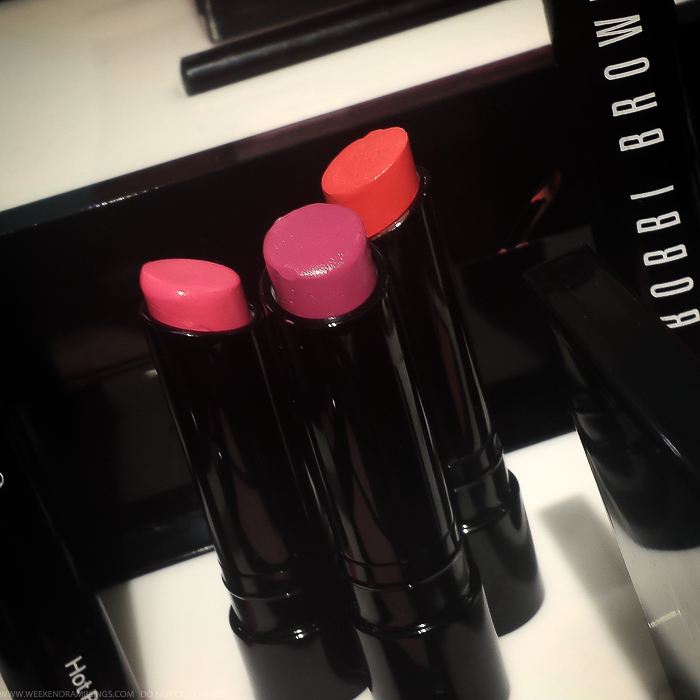 Overall, the Bobbi Brown Hot Collection for Spring 2015 seems to be a well-edited makeup collection with enough color for bright spring/summer days along with some classic pieces that can be used any time of the year.